One of the main activities of CEDEF is continuous improvement in the area of energy management and renewable energy sources, which is also one of the pillars of the new strategy of the Ministry of Energy, Development and Environmental Protection of the Republic of Serbia for 2015-2025. We achieve this continuous improvement through education of the public, representatives of local governments, public utilities, businesses, media, and students. By organising educational events, panel discussions, trainings and study tours, CEDEF offers our participants a unique opportunity to gain new knowledge and expand existing knowledge, as well as to meet EU standards in the field of energy efficiency and renewable energy sources. An immediate introduction of best practices is proven to be an excellent method to raise awareness about the need for greater implementation of energy efficiency among both energy managers and the population. 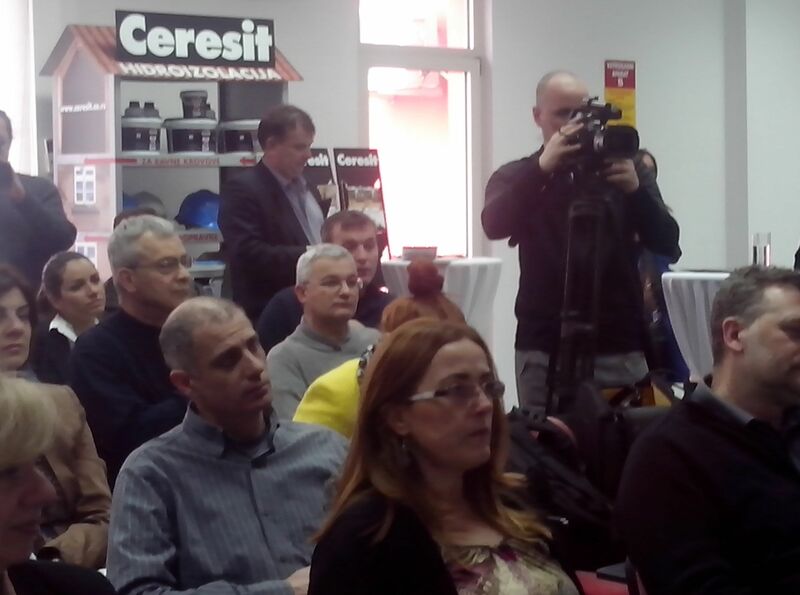 On March 5th 2014, ‘World Energy Efficiency Day’ – Central European Development Forum, CEDEF, in cooperation with CERESIT, organised a training for members of the Network Energy Managers Serbia, MEMS, which took place in CERESIT’s factory for the production of adhesives and matter in Inđija. The training was attended by 30 participants, energy managers, who had the opportunity to learn all about CERESIT program, applied innovative technologies in isolation facilities, as well as products CERESIT offers as valuable solutions to increase EE and additional savings. Energy managers were able to hear more about the requirements, content and method of issuing certificates regarding the energy performance of buildings - “Energy Passport". Furthermore, energy managers gained knowledge of the best practices and sources of financing in EE and RES projects, based on the many years of experience of CERESIT, as well as concrete examples of the savings by using technical solutions for thermal insulation systems – Etics and Ceretherm. The practical examples of the application of thermal imaging cameras, thermal imaging measurements, diagnostics and energy saving measures have caused a lot of attention among the trainees. Central European Development Forum, CEDEF, organised a training for energy managers and other persons responsible for energy efficiency in companies, in cooperation with a leading international company in the field of thermal energy in the food industry and heating systems– VIESSMANN. The training was organised on Thursday November 28th 2013 in Vrbas, and started at 11am. Central European Development Forum, CEDEF, in cooperation with VIESSMANN, organised a training for members of the Network Energy Managers Serbia, MEMS, which was held on November 8th 2013 in the premises of VIESSMANN in Belgrade. Central European Development Forum, CEDEF, in cooperation with LG Electronics organised a very successful training for members of the Network Energy Managers Serbia, MEMS, which was held in the premises of "LG ELECTRONICS". CEDEF in collaboration with Vaillant, organised another training for members of the Network Energy Managers Serbia, MEMS, in order to present the latest trends and technologies in Europe in terms of using renewable energy to representatives of cities and municipalities, local and regional administrations and governments, as well as energy managers of companies who are responsible for the implementation of EE and greater use of RES. CEDEF in collaboration with Valliant organised a study tour for members of the Network Energy Managers Serbia, MEMS. Participants visited Valliant’s regional centre for renewable energy, where energy managers had the opportunity to familiarize themselves with innovative products and solutions. CEDEF in cooperation with Vaillant organised a training for members of the Network Energy Managers Serbia, MEMS, at Izvor in Arandjelovac. The aim of the training was to present the latest trends and technologies in Europe in terms of using renewable energy and the implementation of EE measures. The emphasis of the training was to provide the necessary information and knowledge concerning the selection of systems and equipment for specific projects. CEDEF in cooperation with LG Electronics, organised a training for representatives of the Network Energy Managers Serbia, MEMS, on June 25th 2012 in Belgrade. Fifteen members of the Network Energy Managers Serbia participated in the training at the LG Academy. The LG Academy was founded in 2010, and is fully operating since September 2011.
in cooperation with the Department of Energy in Belgrade, organised a training in EE and RES for the representatives of municipalities, public utilities, and the secretariats of Belgrade. This four-day training was successfully completed by 30 participants during June 2011. CEDEF organised a study trip to Osijek for ten energy managers from cities and municipalities in Serbia. In Osijek, the energy managers participated in formal education projects of UNDP Croatia for energy advisors at the local level. The first part of the project training was held from February 28th to March 2nd 2011, and the second part of the training was organised from 9-10 March 2011. © CEDEF, All rights reserved. 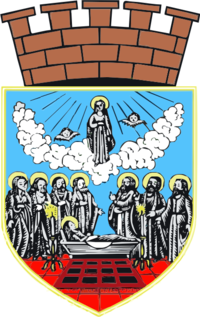 2003 – 2017.